Despite drought conditions throughout Colorado and the surrounding region, Colorado hunters should be able to find good waterfowl hunting opportunities during the 2018-19 seasons. Waterfowl hunting seasons in Colorado extend from September teal and Canada goose seasons to light goose conservation seasons ending in April. Local waterfowl production in 2018 was likely lower than normal due to the dry conditions across the state, but most ducks and geese in Colorado during the fall and winter hunting seasons are migrants arriving from states to the north and Canada. Each year the U.S. Fish and Wildlife Service conducts surveys of waterfowl and their habitats in these primary breeding areas. In 2018, the total duck breeding population estimate in the surveyed area was 41.2 million birds, 13 percent lower than the 2017 estimate of 47.3 million but 17 percent higher than the long-term average (1955 - 2017). Numbers of the five most harvested ducks in Colorado showed similar patterns. Estimated mallard abundance was 9.3 million, 12 percent lower than the 2017 estimate of 10.5 million but 17 percent above the long-term average of 7.9 million. The estimated abundance of green-winged teal was 3.0 million, 16 percent below the 2017 estimate of 3.6 million and 42 percent above the long-term average. Estimated abundance of gadwall was 2.9 million, 31 percent below 2017 but 43 percent above the long-term average. The 2018 estimate for blue-winged teal was 6.4 million, 18 percent below the 2017 estimate and 27 percent above the long-term average of 5.1 million. Abundance estimates for American wigeon was 2.8 million were similar to their 2017 estimates and their long-term averages of 2.6 million. Habitat quality generally declined across the survey area compared to last year, but improved in eastern Montana and the western Dakotas, important areas for ducks migrating through Colorado. 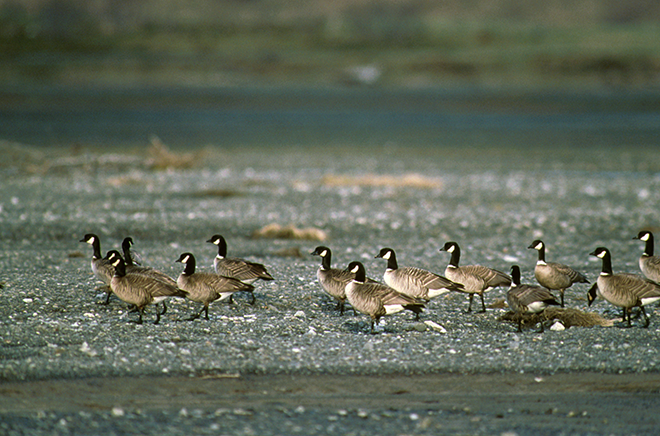 Variable habitat conditions across the region likely resulted in average to below-normal breeding success for Canada geese that winter in Colorado. For cackling geese and snow and Ross's geese that occur in Colorado, a late spring thaw on Arctic nesting areas resulted in poor production in 2018. 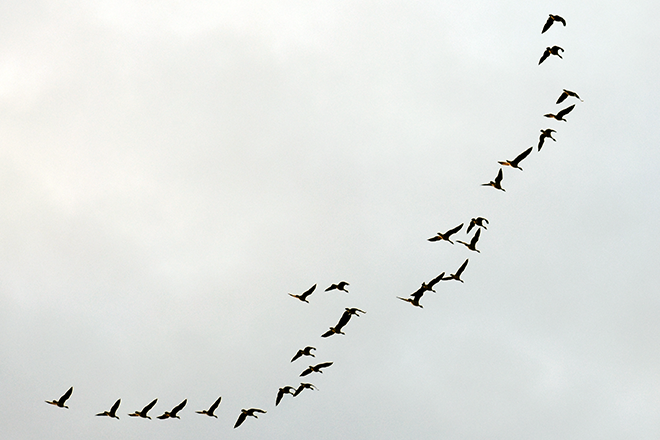 However, populations of these geese remain at relatively high numbers. 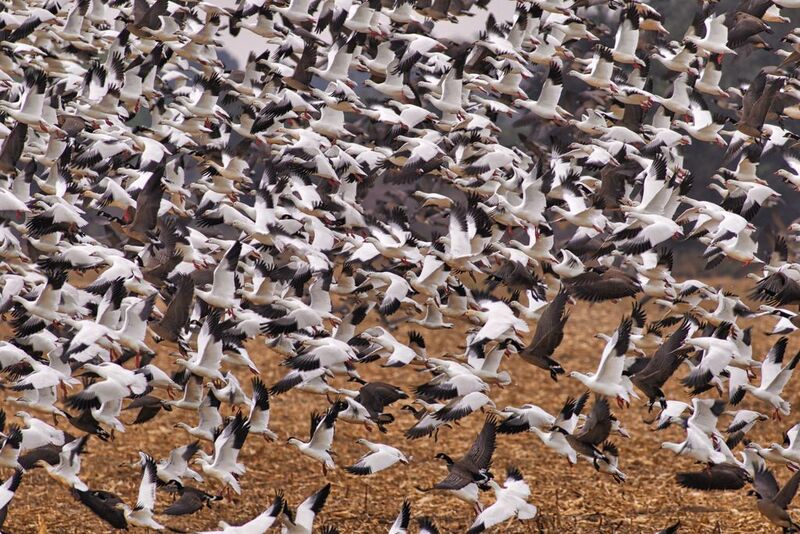 Colorado's waterfowl environments are diverse, ranging from shallow wetlands to large reservoirs. Typically the best hunting is available when cold front push birds south from southern Canada, the Dakotas, Montana and Wyoming. Colorado's waterfowl season dates and bag limits for 2018 - 2019 are similar to 2017 - 2018. One exception is that hunters may harvest two pintails per day this season, compared to one per day last season. In addition, the split in the seasons for dark geese in the North Park and South Park/San Luis Valley goose zones have been removed. The season in these zones now runs from September 29 to January 11 with no closed period. Gammonley suggested hunters get out to areas ahead of time for a successful season. "Conditions and the timing of migration are always changing," Gammonley said. "Take a look around areas where you want to hunt and see local conditions. Even if you always hunt the same area, water, habitat, and patterns of bird use can change every year. Doing some scouting can help you plan your hunt and you may find new areas." For more information about Colorado's waterfowl seasons and hunting regulations, see the 2018 Colorado Waterfowl brochure, available at statewide license agents and parks and wildlife offices or online. Duck and goose hunting in Colorado requires a small-game license and both federal and state waterfowl stamps, available for purchase through CPW's online system. In addition, hunters are required to obtain a Harvest Information Program (HIP) number. Colorado Outdoors Online, in cooperation with Ducks Unlimited, offers a Waterfowl Resource Guide to help hunters get the most out of their time in the field.